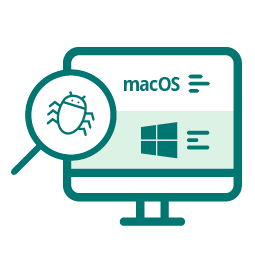 Test your desktop software on several different versions and configurations of Windows or macOS. Install desktop applications on virtual machines (VMs), and use numerous tools and possiblities to test your in-house developed software. Install your software automatically on our virtual machines in the cloud. Execute manual tests directly in your browser and access a virtual machine – no need to install plug-ins. Configure our VMs flexibly according to your requirements, and adjust properties like available hard disk space, RAM, or resolution. Take the quality of your desktop applications to the next level! 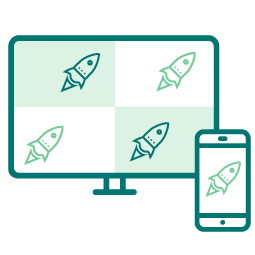 Cross browser testing, Mobile app & desktop application testing. Perform fully automated or manual tests in your browser and start optimising your digital products with the power of virtual and real devices now. Access all current versions of Windows and macOS – for maximum platform coverage. Cross Browser, Mobile App & Desktop Application Testing made easy: Harness the power of virtual and real devices for your software development – perform fully automated or manual testing in your browser. 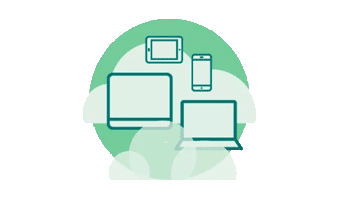 Our Device Cloud provides you with all the testing methods you need to revolutionise your quality assurance process. "The cooperation with the developers of Testbirds is very uncomplicated and at a high professional level. All our requirements could be fulfilled without delays and without problems in the timeframe specified by us." "Device testing is integral to our mobile QA process at Rebtel. 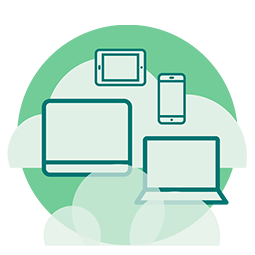 We’ve tried many cloud device testing platforms and none can provide the functionality we need. The real devices - powered by Global real device network - promises to meet our needs and then some, with the globally distributed nature of the network representing real users much better than a single-location device-farm." This whitepapter by Georg Hansbauer, Founder and Managing Director of Testbirds, shows how developers can reduce manual testing efforts with UI automation using Selenium and Appium. 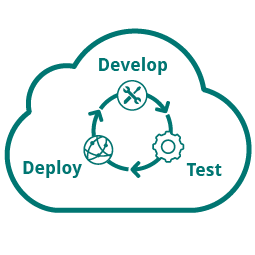 How QA Managers can integrate automated tests into their existing development cycles and what a corresponding testing infrastructure could look like. This whitepapter shows how developments teams can efficiently make use of the Real Devices - powered by Global Real Device Network and it's worldwide distributed network of end-user devices - for the execution of functional testing. 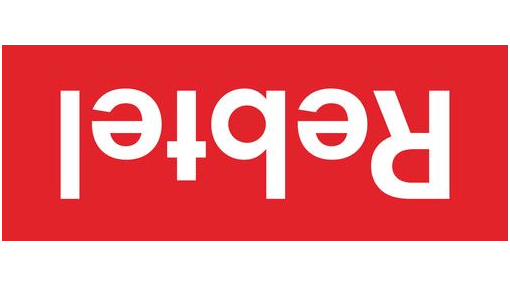 Get access to several devices at the same time. This maximises your speed of development. Tests that normally would take hours will now take minutes. 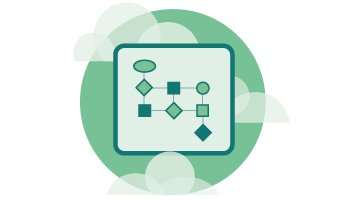 Our Device Cloud supports you using Continuous Integration. Within your development cycle, your applications can be deployed and tested on virtual, real or emulated devices. Get the best of both worlds – powerful VMs and emulators and real devices from real users all around the world. 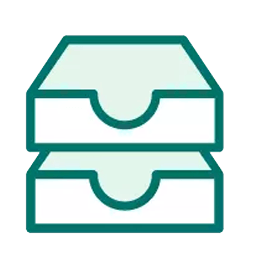 Additional software packages such as Java and Flash versions are available and managed by Testbirds at your convenience. 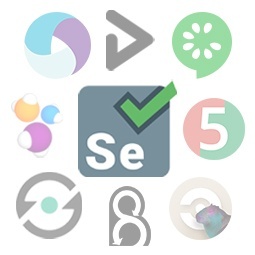 Run your automated tests using scripts developed with, for example, Appium or Selenium. We also support other test automation frameworks. Use the recording function for even better reproducibility of your tests – manually or conveniently as a default setting. Testbirds offers you an extensive selection of browsers, operating systems, VMs and emulators to test your desktop applications. 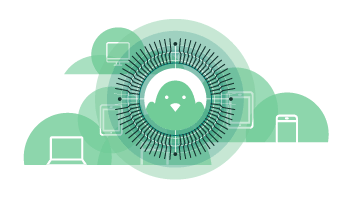 Testbirds offers you an extensive selection of browsers, operating systems, VMs and emulators to test your apps, websites, and applications. In addition to our virtual solutions, we also offer you access to real devices with our Global Real Device Network.